إعلان جهاز Samsung Galaxy Note بعد التعديل عليه. It took two long years for India to (allegedly) tap BlackBerry traffic, but Saudi Arabia may not have to wait nearly as long; the Wall Street Journal reports that RIM has all but agreed to set up a local server in the country. While we’ve no details yet on what the deal entails, an unnamed Saudi telecom official said negotiations are already in the final stages. Sorry, RIM, but it looks like Saudi Arabia called your bluff. We imagine the company will deny any potential for government snooping in short order… and both Indonesia and the United Arab Emirates will start planning their own attempts to wrest away control. We’ll let you know where this house of cards falls. So it wasn’t just the “Blackberry Messenger” that will be banned in Saudi Arabia. According to this the CITC has expressed concerns about the BIS for a year and asked the local carriers (STC, Mobily and Zain) to “look into” the concerns and provide an alternative for 3 months! The three months end next Friday August 6th. Someone pulled the switch and f***ed it up for everyone. There are almost 1 million blackberry user in Saudi Arabia and they only got one official statement about the ban less than 3 days. So 3 day notice? This is unacceptable! The CITC should have issued a longer warning period like the UAE TRA who announced the ban 2 months in advance! The carriers, STC, Mobily and Zain did not warn their customers in the last 3 months as well. Both are at fault, CITC and the carriers. And what will the customers do now? a 3 day notice is not acceptable especially for what is considered a business device. UAE Etisalat will offer free phones to Blackberry customers including iPhones! Lastly, STC PR denied the ban 2 days ago which is obviously a lie. I never believed STC’s stupid lies anyway. Sorry I am rambling but this idiocy is frustrating. Looks like the CITC/MCIT has decided to ban the Blackberry messenger, the only feature used by a lot of people in Saudi Arabia. Here’s the piece on Reuters: Saudi telcos ordered to freeze Blackberry Messenger and Saudi Telecom confirms Blackberry Messenger ban-TV. There you go, STC confirmed it as well. Saudi media fails again in covering it, AlRiyadh newspaper said that the blackberry is made by the “Blackberry Company from Canada” (شركة بلاك بيري الكندية) while we all know it’s RIM. By the way, I think CITC and MCIT need a new website, the design is awful. I talked about it a long time ago and now I don’t care about Nokia 😉 I am using “Flickit Pro” for the iPhone. Anyway, The Maxer sent me this solution: this flickr_configuration_file.cfg file should work in Saudi Arabia with most Nokia phones including N97. STC was the first company to introduce an Android based cellphone in the region. The phone was the HTC Magic however native Arabic support is only available for Android OS 1.5 while the latest OS version for the Magic is 1.6 (HTC are working on 2.1 update to be released this year). Arabic support is not available in 1.6, 2.0 and 2.1. I should contrast this to the iPhone: iPhone OS 3.0 added support for many languages including Arabic. You do not need to download additional software to add Arabic to the iPhone and you don’t need to change anything if all you needed is to read Arabic. Apple did that in less than 2 years and all of their iPhones support Arabic by now. 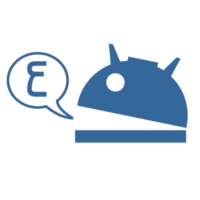 As for Android you should be able to add Arabic by visiting a site such as XDA Developers. I bought an Android phone and I said since you already made the locale adding the Arabic language will be easy and fast , but now I have the phone for 5 months and no Arabic support still , we have two available Android phones in my country and two are coming in a few months , I had an iPhone but I sold it to buy an Android phone , so I think I’m wrong in selling the iPhone , anyway please Google add the Arabic support and Prove Me Wrong . Support this by voting for this issue to be resolved which you can do by simply clicking the star on the left (you might need a Google Account for that). I should remind Google that Nokia is a major market-share holder in Saudi Arabia, BlackBerry comes in second place. So they are the major competition for Android phones here, not the iPhone. 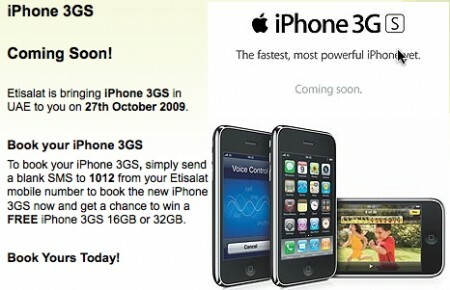 UAE’s Etisalat has posted on their website that the iPhone 3GS will be released on October 27th. This confirms what I said earlier that the iPhone 3GS by Mobily will be released on the same day. Follow SaudiMac (English) and (Arabic) sites for more updates. تابعوا آخر التحديثات من موقع سعودي ماك. I have a Nokia N79, a very basic Symbian S60 phone. One of the frustrating things that the Share Online app (an app that allows me to upload media to web services) only listed 2 services: Vox and Ikbis. Flickr (the biggest online photo service) was not available for a number of countries including Saudi Arabia. The only method was to use a config file on Flickr’s site to manually install flickr support on Nokia Share Online. It worked until the latest Nokia update was released. I updated my Nokia N79 to v20 firmware and with it the Share Online tool was updated to version 4. When I ran the Share Online app the flickr and Vox profiles I have added are gone! I tried to add them but the only service available was Ikbis and I can no longer add Vox! Flickr cfg file was unsuccessful. Many users on the nokia forums have the same issue (here, here and here ) they are from India and other countries that Nokia don’t care about. Sure I could use pixelpipe or Shozu but this service is available in the phone already! If I insert a German SIM card then the phone will be able to add flickr so why is it limited? I have found a list of countries that “support flickr” on this page (check comment number 43). Nokia needs to actually CARE about providing services to all it’s customers and Saudi Arabia is one of their biggest markets! My friend Maxer posted here “We need it open to Middle Eastern users” and you know what, Nokia? I just want to upload to Flickr using Share Online. However, kindly note that some services are not available in some countries such as Saudi Arabia and others. The access to those services was restricted, such restriction was deemed necessary due to the laws and social norms of these countries regarding web content. Access is blocked based on the IP ranges of these countries. We apologize for the inconvenience caused. I have escalated your email to a senior representative in an effort to obtain the best answer. Please allow some time for a follow-up reply to your question. This is discouraging me from becoming a Flickr Pro subscriber. It is unfortunate that Nokia is doing this to it’s customers. By the way if you are an iPhone user then I recommend a free app called “Flickit” for uploading to Flickr. Update: This will happen again with the new Nokia N900 that will be released in Saudi Arabia soon. I had high hopes when Nokia decided to officially enter the Saudi Arabia market (through their Nokia Stores) that the prices of the Nokia phones will be reduced to more acceptable rates. 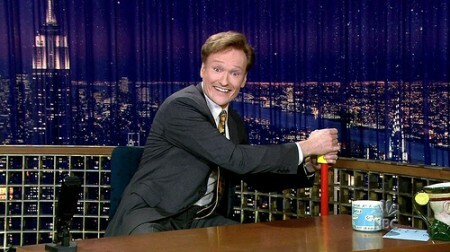 But instead those Nokia stores are doing what I can only describe as price gouging. I will quickly explain “price gouging” as I will talk more about price gouging tech in Saudi Arabia. Price gouging is a pejorative term for a seller pricing much higher than is considered reasonable or fair. Let’s start with the Nokia E75. Before the phone was released the Saudi Arabia Nokia Stores took pre-orders on the phone. You had to pay 100SR deposit and pay the rest later. The phone was sold for about 1,900SR for pre orders only. But when the phone was released it was sold for 2,300SR. Now it cost 2,199SR. These prices were for the “black” Nokia E75 only. The red edition of the phone (same features) was only released this week and it cost 2,499SR. So you are paying 300SR (almost $100) more just to get a different color. The 2 phones are identical in every way, both are sold for the same price at Amazon.com. This is neither reasonable nor fair. The pricing on the Nokia E75 is not fair for Saudi Arabia as well. The Saudi custom fee is cheap on electronics. Yet the Nokia E75 is sold in by Amazon.com for $450 (1,750SR) much cheaper than 2,200-2,500SR sold by the Nokia Store. The E75 is sold in Jordan for what’s equivalent to 1,880SR! But to be fair the Nokia E75 is sold by Amazon.de (in Germany) for 382 EUR (1,988SR). Update: Nokia E75 is sold in the eastern province branch of Hyperpanda for only 1,990SR! Thanks Ahmed for reminding me. The second example is the upcoming Nokia N97. The Saudi Nokia Store is beginning to take pre-orders for the the phone and the posters only showed the white model. I expect they will do the same as what they did with Nokia E75 red and gouge the price even more. The expected price of the Nokia N97 in Saudi Arabia will be 3,400SR! The N97 is expected to be sold for 3,000Dh in the UAE! On Amazon.com the Nokia N97 will be sold for $604 (2,300SR). You read this right! 1,000SR difference! In the German Amazon.de website it will be for 650 EUR (3,384SR). Not reasonable or fair, isn’t it? This is just Nokia’s way of thanking the Saudi Arabia market, by overcharging us for their phones. What do you think? Is Nokia justified with these prices? Will the Palm Pre arrive to Saudi Arabia? 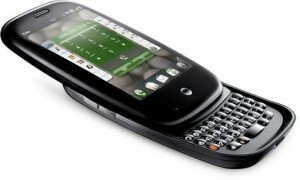 In case you didn’t know, in CES 2009 Palm announced their latest phone, the Palm Pre. You can watch the Palm Pre announcement video presented by Jon Rubinstein, an Executive Chairman at Palm and former head of hardware engineering at Apple. The US Palm Pre will be a CDMA phone, in other words it will not work in GSM countries. Palm didn’t announce any official GSM release. All they said is soon. And the only thing we have are pictures of a Vodafone SIM card in a Palm Pre. Keep an eye on this page for any updates. If you think Apple’s presence in the middle east was bad then you haven’t seen Palm. They don’t have a middle east page, Palm never supported Arabic and their own dealer is a company in the UAE called ITE. Unless Palm sells the Palm Pre GSM unlocked I see no way for it to even arrive in Saudi Arabia. Update: and now we have a launch date. As usual, CDMA (US) only for now. Update (6 Dec 2009): According to this post on the Palm Pre forums, Palm’s response showed no interest in adding Arabic to the Palm Pre.